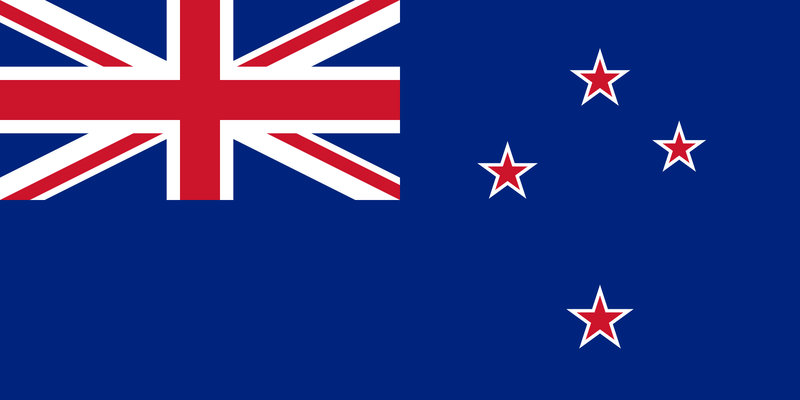 The New Zealand Flag has a royal blue background with a Union Jack in the first quarter, and four five-pointed red stars with white borders on the fly. The current New Zealand Flag has a deep blue background. In the top left corner, filling half the left side, is the Union Jack design showing red and white crosses on a blue background. The cross in the forefront is red on a white background. The two red and white crosses in the background are diagonal, with the red cross being superimposed over the white one. On the right half of the flag are four stars in the formation of the Southern Cross constellation. Each star is red with a white border, and has five points. Admiral Sir Albert Hastings Markham, KCB designed the New Zealand Flag. Read a Wikipedia profile of Admiral Markham here. The centres of the stars forming the long limb of the cross shall be on a vertical line on the fly, midway between the Union Jack and the outer edge of the fly, and equidistant from its upper and lower edges; and the distance apart of the centres of the stars shall be equal to thirty-six sixtieths the hoist of the ensign. The star nearest the fly edge of the ensign shall measure five-sixtieths, the star at the top of the cross and that nearest to the Union Jack shall each measure six-sixtieths, and the star at the bottom of the cross shall measure seven-sixtieths of the hoist of the ensign across their respective red points, and the width of the white borders to the several stars shall in all cases be equal to one one-hundred-and-twentieth of the hoist of the ensign. The New Zealand Flag can be made to any size, with the length always twice the width. Attached is a diagram showing the above details in a larger size. Here you can view a larger version of the New Zealand Flag. A blank version of the New Zealand Flag is also available on this page. The flag proportion is 1:2 and the devices on the flag are the Union Jack [A] and the Southern Cross constellation [B]. The Union Jack device is white and red, and sits within an area measuring sixty by thirty one-hundred-and-twentieths of the hoist of the flag. 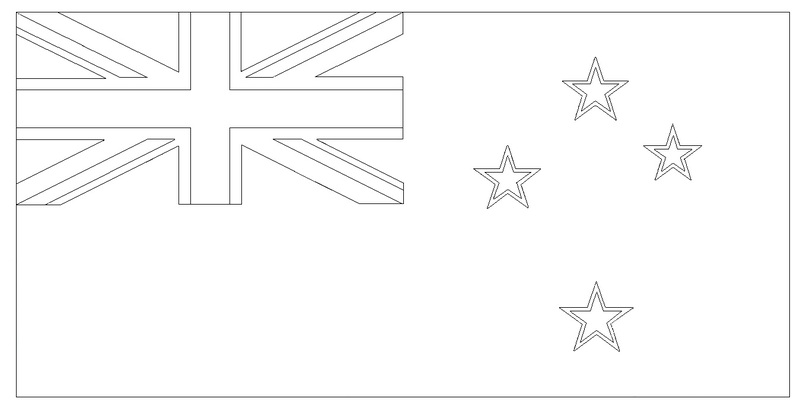 The Southern Cross device sits on the fly of the flag. Each of the 4 red stars in the Southern Cross device has 5 points and a white border. The background of the Union Jack and Southern Cross devices is blue. The colours are white (Pantone SAFE) in the areas marked “1”, red (Pantone 186C) in the area marked “2”, and blue (Pantone 280C) in the area marked “3”.